"Let's All Fight! 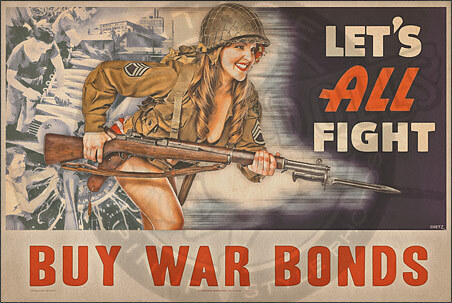 Buy War Bonds"
When America went to war in late 1941, the size of the military wasn't at it's highest. With recruitment way way up as everyone jumped at the chance to join (or for those who were drafted) the need to awaken the 'sleeping dragon' through industrial might came to pass. 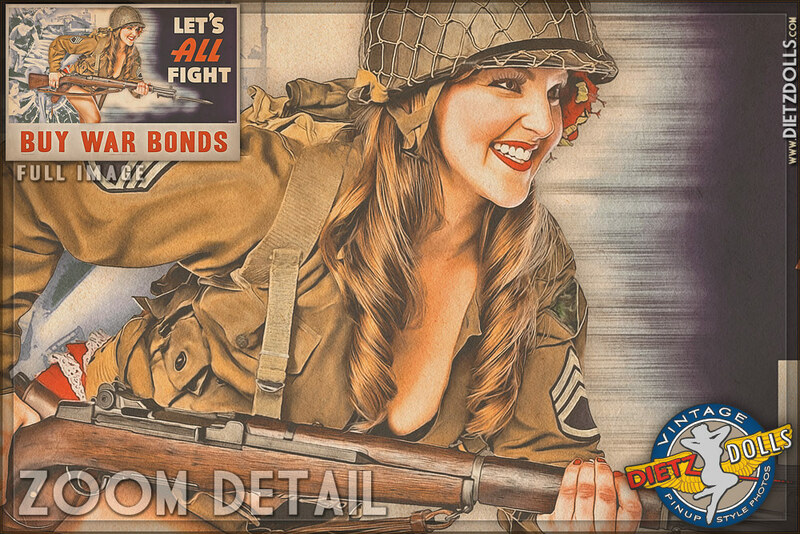 Thousands upon thousands poured into factories all over the nation building the bullets, tanks, airplanes, ships, etc needed by America's massive army. And it wasn't just men, women joined the work force in ways unheard of in that society. The greatest generation it was indeed, and these workers were the unsung heroes of the war backing the men and women fighting the war!